Live Music Review: Iron Reagan. Last Monday, I went to Barfly, a small sac club that just started doing live music. I don’t know about where you live, but in Sacramento there seems to be an abundance of bars/clubs/venues that are playfully named things that would suggest they’re places that you wouldn’t want to be. I think it has something to do with popular culture embracing what is traditionally considered counter-culture. 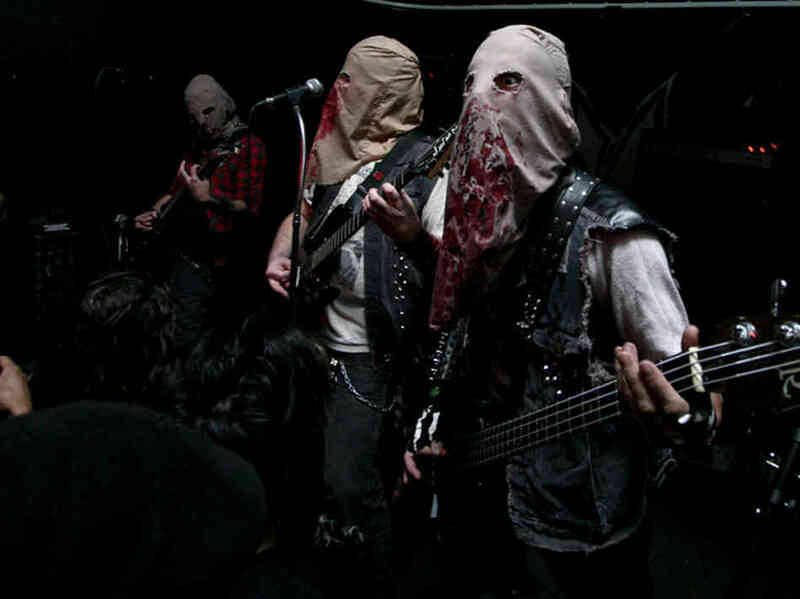 In any case, I went to Barfly to check out Ghoul, a throwback thrash group from Oakland. I haven’t really been into the thrash sound for a while and when I do, I’ll stick to my “meat and potato” groups like slayer. However I did want to check out Ghoul because having heard a few tracks from them, they seemed like a stand-out over the plethora of other neo-thrash groups. Having competed in Napa that weekend, I was also in the mood to get out and blow off some steam. I wasn’t disappointed. I’d see Ghoul again, if only for the monster shtick and playfully offensive stage antics including but not limited to: a giant foam robot fighting a monster, a voodoo sacrificial ceremony and fake blood being poured into the circle pit. Abrasive B-movie silliness when taken at face value can be extremely entertaining. Yes, this is what they look like while performing. But honestly, I was way more into the band that played before them, Iron Reagan. They had a fun, punk infused thrash sound that made me want to be 16 again; You know, go skateboarding, cause trouble and pretend like being 16 was way cooler than it actually was. Check these guys out if you’re into hair, fast tempos, gang vocals, and tracks that barely cross the one minute mark. I picked up their 2013 release, Worse than Dead. I’d give it a 7/10.